After 3 weeks of fermentation and 5 days of dry hopping, the Farmhouse IPA is finished. Inspired by Michael Tonsmeire of the Mad Fermentationist blog, the Hoppy Saison is mostly a traditional saison, but with loads of Saaz, totalling 4 oz in late and dry hop additions. The yeast was saved from the primary fermentation of the Barrel Project Saison which used the Wyeast French Saison strain, noted for its ultra-high attenuation and robust fermentation. Both saisons using the French Saison strain finished at 1.002, very impressive. I’ll post the recipe in a brew day post soon. 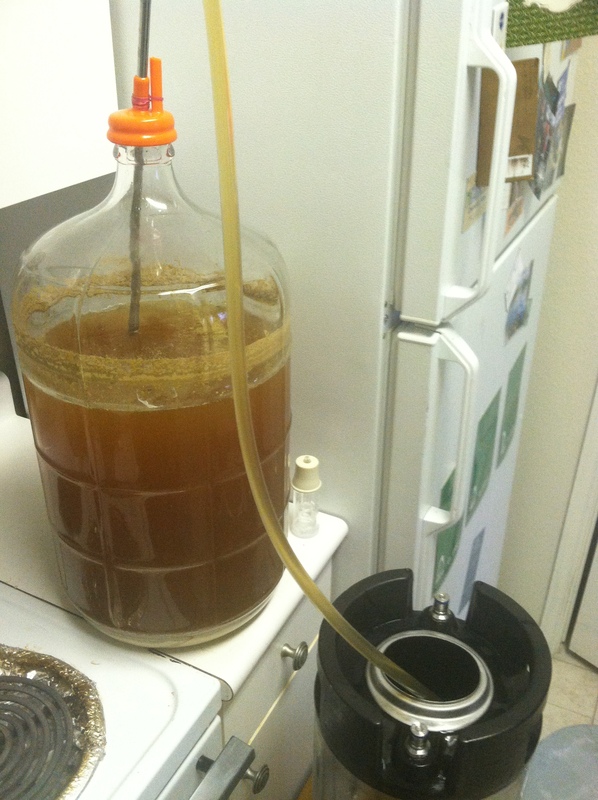 Also, I am brewing later tonight, a re-brew of the Session Helles. As the name implies, Session Helles is a slightly smaller version of a Munich-style Helles lager. Primarily, I use this recipe as a “killing two birds with one stone” approach to brewing, producing a nice sessionable lager while also culturing yeast for a larger, higher gravity batch. The recipe consists of mostly continental pilsner malt with low percentages of Munich and Melanoidin malt. Also, I am fermenting the White Labs German Bock yeast, a very nice lager strain. The resulting “starter batch” is tasty, quite refreshing, and highly sessionable at 3.8% ABV. Additionally, the 1.039 O.G., 4 gallon batch should produce enough yeast for a larger batch, probably a pilsner or maybe a Helles bock; we will see. Have any successful brews lately. Keep us posted in the comment section below. Cheers, and happy brewing!